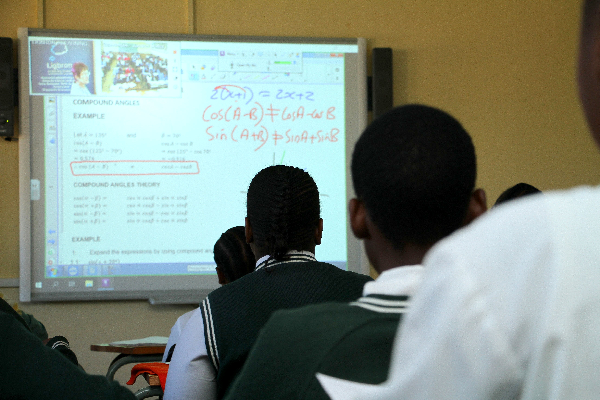 Last month, three rural Schools in KwaZulu-Natal - the Mahlahla High School in Bulwer, the Indala High School in Richmond and the Candabuthule High School in Greytown - each received what many would have thought to be impossible - a high tech resource centre that will link them to a countrywide online learning network specialising in maths and science. 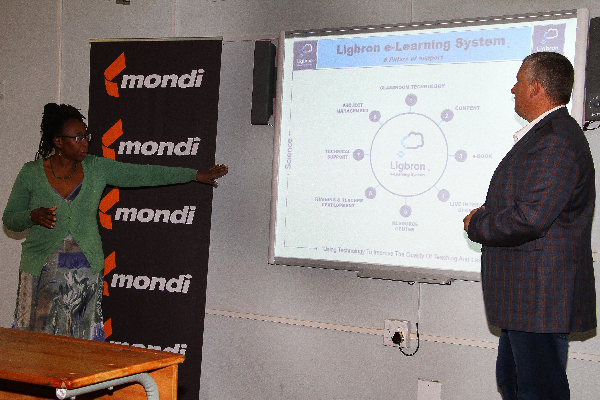 Global packaging and paper group Mondi introduced the sophisticated Ligbron e-Learning System into the Schools. "Education is one of the greatest gifts one can give to an individual. Based on this ethos, Mondi invests in young minds, especially in our rural footprint where access to resources is so often lacking. Maths and science is the foundation and an enabler for a multitude of opportunities that exist and we are proud to be associated with this initiative", said Themba Vilane, Director Operations Forestry. 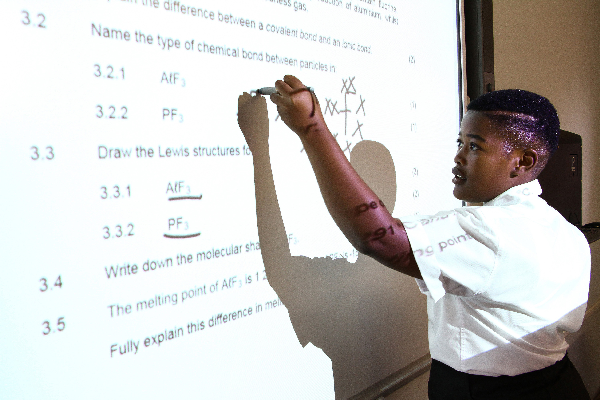 Mondi conducted a survey of 26 High Schools within its footprint in the Midlands that offered maths and science as subjects last year. The results showed poor performance across the board in these subjects as well as very low science enrollment. "We identified three schools where we could install e-learning equipment and where this highly effective system would be supported not only by learners and their teachers but also by the broader School communities," Thobi Mkhize, head of stakeholder engagement at Mondi, explained. Maths and science are of particular interest to Mondi which needs the skills of engineers, scientists and accountants. Education, and maths and science in particular, are central to the group's Corporate Social Investment strategy. They'll be starting with those that need it most - Schools in deep rural areas which are usually the last in line to receive much needed resources, according to Ligbron Liaison Officer, Frans Kalp. He said that, by introducing a whole new approach to teaching through technology, they were able to elevate schools like these to a whole new level. "Many of these children have not even seen an electronic board. But all have cell phones. Technology is something to which these learners easily relate," he explains. Each e-learning classroom has an e-Boxx with a SMART interactive whiteboard, a digital camera, sound system and alarm system. This technology facilitates the weekly live streaming of mathematics and science lessons that are shared by using video conferencing and desktop sharing. During live streaming, the image of the teachers/learners from linked schools is visible on the SMART board. The SMART boards display the presentation and any student and teacher can write on the SMART board and ask questions from their own School. Kalp said that, each week, teachers have access to fully pre-prepared lessons that closely follow the curriculum laid out by the KwaZulu-Natal Department of Education which has enthusiastically supported this initiative. A live streamed revision lesson follows. He said that experience in the 84 schools that had utilised the Ligbron system to date had proved that learners' concentration, discipline and results had improved markedly as had enrollment in these previously unpopular subjects. Mkhize is confident that the Mahlahla, Indala and Candabuthule High Schools will follow suit. A total of eight Schools are now using the system in KZN. Four of these are supported by Mondi. The Ligbron System relies on stringent project management that includes regular contact by phone, constant monitoring of log-in to live sessions, quarterly meetings with all e-learning teachers plus pre- and post-testing. Stringent security systems have been installed. Online and technical support is carried out via a call centre as well as onsite maintenance of hardware and software. Grade 10 to 12 teachers will receive software training and attend quarterly development sessions in both subjects.